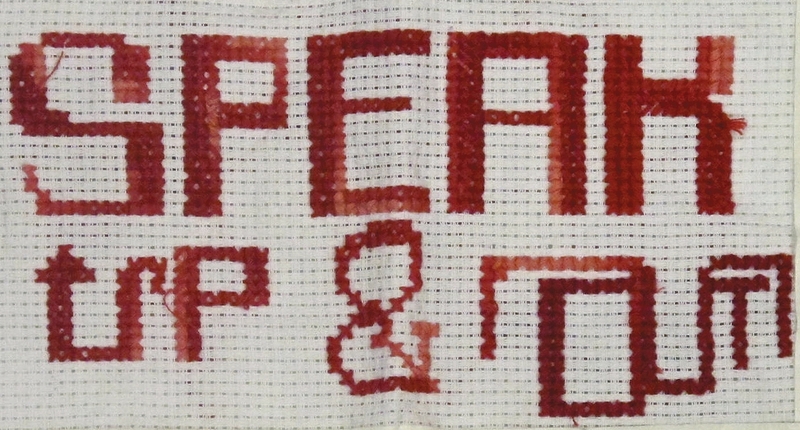 Brooklyn students embroider their ideas: Part 11 | Be Nice. I had to look up “pemdas” do find out what it meant. I’ve been out of math too long apparently! It means: “Please Excuse My Dear Aunt Sally.” (per wiki:) It is an official anagram standing for the parentheses, exponent, multiplication, division, addition, and subtraction order of the mathematical order of operations. Good luck Byron on your PEMDAS! And nice work on your cross stitch! This piece turned out really well Kayla, nice job! I hope you’ve caught up on your Z’s!